To mark the launch of the Apple Watch Series 4, Apple on Friday uploaded a new ad to its Canadian YouTube channel, "Better You." The 30-second spot revolves around a man encountering clones of himself, each of whom encourage him to be more active. The man transitions from sitting, to standing, to walking, to running, and finally to swimming in the ocean. The commercial ends with the slogan "There's a better you in you." The spot doesn't actually highlight any features unique to the Series 4, apart from its bigger screen. 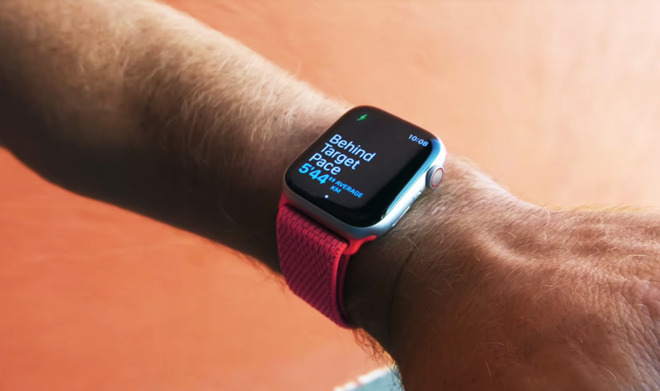 Viewers do get a glimpse of the pace alert feature in watchOS 5, and waterproofing that has been present since 2016's Series 2. Apple has ramped up its focus on health and fitness with each new Watch. The Series 4 has several improvements, such as EKG (electrocardiogram) technology and fall detection. watchOS 5 includes new workout types, and complications for data such as UV radiation.